The Energy Efficiency for All New York (EEFA NY) coalition’s work is made possible by a broad network of advocacy organizations with each partner bringing a unique approach to improving the lives of low-income communities. Today we are profiling one of our members: the Green & Healthy Homes Initiative (GHHI). We spoke with Ruth Ann Norton, GHHI’s President & CEO, about the organization’s work to improve the health and housing conditions of low-income communities through energy efficiency projects in New York. What unique lens on the issue of energy efficiency does your organization provide as an EEFA NY member? We look at health, economic, and social outcomes as goals for our work around healthy housing. Our work focuses on America’s lowest-income families. When we can address the health and energy efficiency elements in their homes, it lowers their dependence on Medicaid and housing support. We are a much different group than some other EEFA NY members, but we have so many shared values. Why is it essential to integrate the issues of safe, affordable housing—such as reducing home hazards like lead poisoning—with efforts to promote efficiency in the home? In our path as an organization from lead poisoning prevention to green and healthy homes, we figured that it is important for us to evaluate the home holistically. Through our work to make homes lead-safe, we continue to find that families tend to move due to the cost of energy. They generally cannot afford to stay where they are living. Our work has shown that when we replaced windows and removed lead paint, families still got sick because of extreme heat or cold. We started to piece this together in an integrated system. As we began energy efficiency upgrades to keep families in a stable, healthy location, we found that their health got even better. The incidence of asthma exacerbations reduced, hospitalizations decreased, their mental health improved, and injury outcomes became better. When we repair rooms, fix homes, remove lead paint, install better insulation and proper air-sealing, we simultaneously reduce pest issues, eliminate conditions that lead to moisture, mold and mildew, and thus, creating healthier and energy efficient environments. As a result, the negative impact that housing has on health can be reduced, which starts to drive down related health care costs and a portion of those savings can pay for the work that needs to be done. For example, a child that is repetitively going to the emergency room and hospital for asthma exacerbations caused by housing conditions in New York City can cost between $25,000 and $55,000 a year. But, we might be able to improve their health and make their home energy efficient for less than that. It’s cheaper to fix the house than to pay for the backend care. Why is it essential that low-income housing is made more energy efficient? We care about families and their stability matters. We want people to use their home — a place where they are safe, healthy and secure to serve as a launching pad. If you have a family member in a healthier home their trajectory will improve and their ability to function in multiple areas will expand. Asthma is the number one reason kids miss school and according to the Robert Wood Johnson Foundation, 40 percent of all emergency room visits and hospitalizations for children and adults are caused by lousy housing conditions such as extreme heat and cold, moisture intrusion, poor indoor air quality, and lead paint. These are all contributing factors to the well-being of the entire house. If people are in situations where they are unable to work because their child is spending time in the emergency room instead of the classroom, that has a significant impact on a parent’s ability to fulfill their job responsibilities, and at times remain employed. We conducted a study on the effects of energy efficiency and indoor air quality in Maryland. In houses where we addressed these hazards, we had an 88 percent improvement in the parent’s ability to continue working. If you can lower the incidents of emergency room visits and hospitalizations, you are going to keep kids in school at a much higher rate, they are going to be healthy and ready to learn, parents are going to be able to work, and families are going to be stable. Think about the stability of having a home from which you can think and dream. That is critically important for someone to have the economic mobility to move forward for themselves and their family. What other aspects of your organization, aside from its support of energy efficiency in low-income housing, do you see as complementary to the goals of EEFA NY? In other words, which of your other goals are closely intertwined with efficiency goals? Improving occupant health through healthier housing is one goal. EEFA NY’s work does that by infusing the standard of health into all energy efficiency investments. We also share the goal of ensuring that public bodies and the public are educated on the health benefits of energy efficiency. 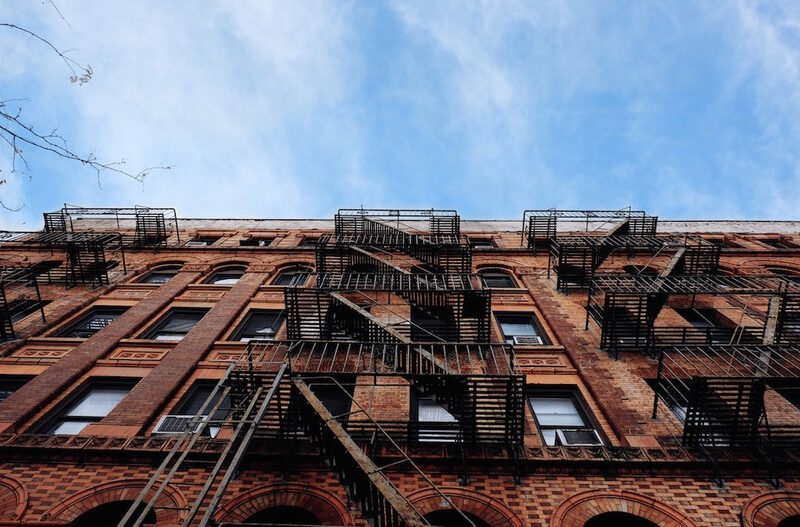 Health can be a market motivator, and it is also important for the state government to understand the impact of its housing and energy efficiency programs on the health of New Yorkers by supporting the EEFA NY framework. EEFA NY has also helped us build new relationships. In partnership with the Association for Energy and Affordability (AEA), an EEFA NY member, we are about to establish a large demonstration of work to improve the health and housing of low-income communities through energy efficiency upgrades. By teaming with Affinity Health, we will be able to help secure financial support for their patients who suffer from asthma to have indoor air quality energy efficiency work conducted in their homes, which will improve and reduce the incidents of asthma. This work will be a model for New York City Medicaid managed-care organizations on how they can be a part of the funding identified as social determinants for health. What challenges do you face specifically in New York City? What is unique about the city in terms of its demand for energy and need for energy efficiency? It’s New York, so it’s just big, awesome, and audacious. If we can implement the standards we are trying to administer through EEFA NY, the impact will be huge. The tightness of multi-family housing gives us opportunities to execute things in larger swaths. But, it means we have to get building owners on board for common areas as well as the larger structure of buildings, and not try to piecemeal things. I think in New York, like anywhere else, we have to get the standards built into everything from housing code to health department standards, the livability code, as well as having energy efficiency as a baseline of habitability. I think the opportunity to do this in New York is better than elsewhere. We are also working with the state as an advisor to the New York State Energy Research and Development Authority (NYSERDA) around what they do and how it is moving health and energy together. This means looking at the role of the health department, the state Medicare program, and the housing department to work in an aligned fashion with NYSERDA on how we are bringing other elements to ensure we are improving health. What misconceptions might the public, elected officials, or other important audiences have about your goals and methods? It’s not too costly to do this work; it’s too costly not to do it. Even if you just look at the health costs. Not doing this renders us a very large health bill. Not doing this renders us a high cost of family turnover, impact on school performance, care of seniors, and costs to cities. The economic benefits are increasingly attractive. We have an issue that we can’t afford to turn our backs on. What do you enjoy most about working with EEFA NY? EEFA NY’s work is very tangible—it is something you can see, something you can feel, and it’s going to impact families in so many ways. We love our broad role and partnership with the EEFA NY coalition. I am elated we can have this nexus around our mission of improving housing conditions as a means of health care; the role that energy efficiency plays in it, and real deep need to improve our health.